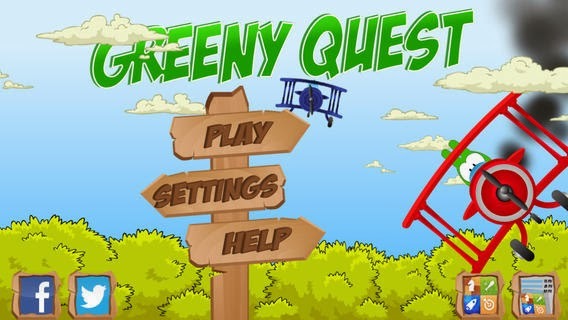 The top classic cartoon arcade game called Greeny Quest has been made free for download by the publisher Christian Nadeau. The game set on Parrot Island has already been downloaded over million times from Apple store when it was priced $0.99 (Rs.60.00). The free version will have ads but will come with all the levels that was available with paid version. The gameplay involves you taking over Greeny Bunny's role on Parrot Island and helping him escape the island. To escape the island you have to find the coins, tool box and spare parts for repairing the airplane which is your only hope. As with paid game the free version comes with 24 different levels with 4 different environments. environments (Jungle, Desert, Mountains, Castle). As Greeny Bunny you will have to deal with 4 enemies before they destroy you. The faster you finish the level the more points you get and Toolboxes are hidden in all levels which you have to collect all to repair your plane.